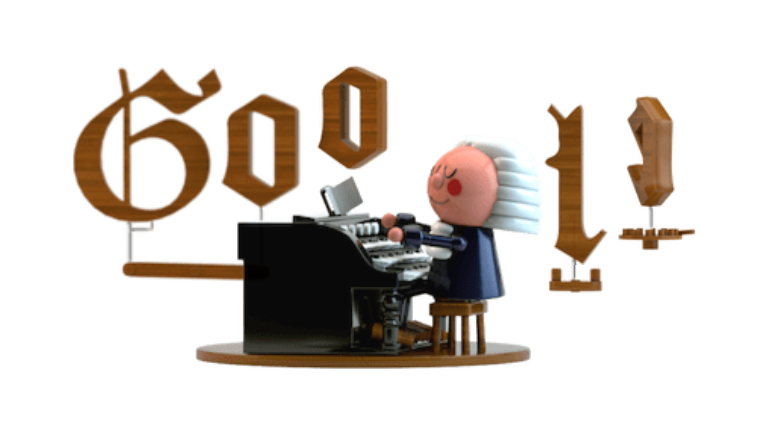 Celebrate world renowned German composer and musician Johann Sebastian Bach with Google's first ever AI-powered Doodle! This Doodle is an interactive experience encouraging players to compose a two measure melody of their choice. With the press of a button, the Doodle then uses machine learning to harmonize the custom melody into Bach’s signature music style. ​Explore DJ techniques using the on-screen turntables. A tutorial walks you through how to work the turntables to create a mix using a crateful of classic hip hop tracks. There are 10 goals you can work through. ​Help Beethoven's unfortunate journey to the symphony hall by arranging his masterpieces in time for the big crescendo! Read more about Freddie Mercury, as described by Brian May, guitarist for the band Queen, about what made Freddie so great as a performer, and as a person. This Google Doodle celebrates the 96th birthday of Les Paul, inventor, and pioneer of the solid-body electric guitar. Play and record musical patterns and melodies. This interactive Google Doodle celebrates the 78th birthday of Robert Moog, inventor of the Moog synthesiser. This synthesiser brought modern music to new heights in the late 1960s and was featured on albums from The Doors, The Byrds, and The Monkees, just to name a few. Create sounds and melodies using their mouse or computer keyboard to control the synthesiser seen on the screen. You can also record their creations with the 4 track recorder, which is next to the synthesizer. 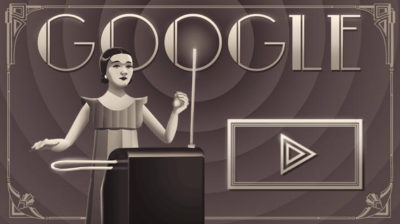 ​With this Google Doodle, you can go through a series of three lessons in order to get comfortable using the online version of the theremin. Once you complete the lessons, you can experiment with creating your own melodies. 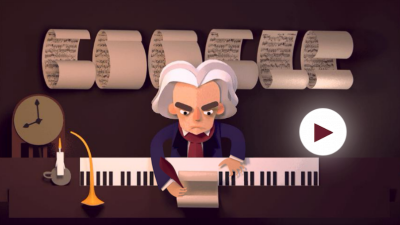 ​This Google Doodle celebrates the 360th birthday of Bartolomeo Cristofori, the inventor of the pianoforte, now commonly known as the piano. Students can see an inside view of the piano in action, and they can control how soft or loud the piano is played. This demonstrates the correlation between how hard or soft the piano key is pressed and how loud or soft the volume becomes. This is a great visual representation of how sound works. This Google Doodle celebrates the anniversary of Claude Debussy’s 151st birthday. It features an animated night scene on a river outside of a city, set to the tune of “Clair de Lune.” The lights in the city twinkle in time with the music.